Michael Wilkinson, left, director of UHV Student Life & Services; Sara Weinstein and Freddie Cantu, both UHV Student Life & Services coordinators; and Alvaro De La Cruz, UHV Student Government Association president, stand in the space that will become JP’s Market. The food pantry and career closet will open in September to UHV and Victoria College students who need food or clothes for job interviews. 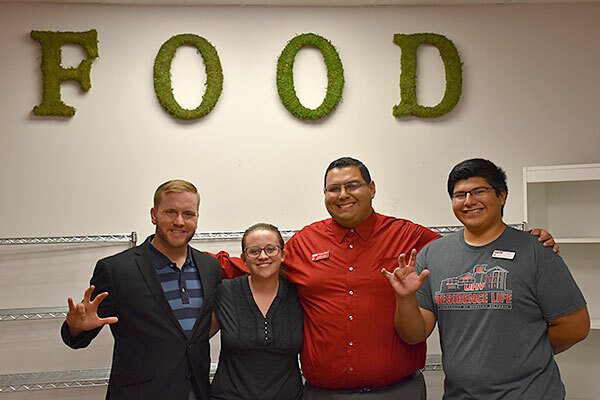 Students at the University of Houston-Victoria and Victoria College soon will have access to a food pantry and a way to borrow clothes for job interviews thanks to a new food pantry and career closet at UHV. 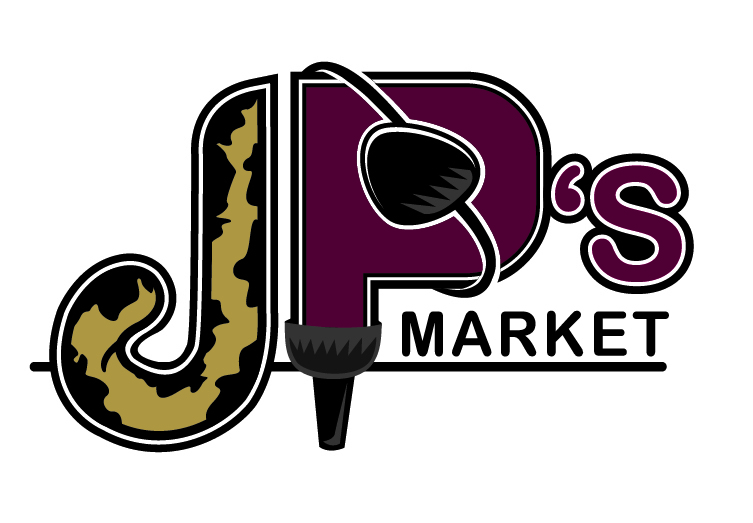 JP’s Market, which stands for Jaguars’ and Pirates’ Market for the two schools’ mascots, will feature a food pantry and a career closet. It will be located on the first floor of UHV’s Jaguar Suites residence hall, 2703 Houston Highway. The university will host an Open House for the community at 11:30 a.m. Sept. 28 before the official opening for students on Sept. 29. JP’s Market will be open to students from 10 a.m. to 2 p.m. every Friday. The food pantry will be stocked with food bought from the Food Bank of the Golden Crescent and donations from the community. The pantry will include basic food items such as milk, bread, meat and nonperishable items as well as toiletries, toilet paper and other necessities. UHV and VC students can access the pantry and other resources with their student ID cards. The career closet portion of JP’s Market will allow students to borrow a blazer or other clothing for job interviews. Students can pick up the clothing on Friday and return it to the closet the following week. The closet also will have regular clothes that students can keep, Wilkinson said. UHV is seeking donations of professional clothing including blazers, suits, blouses, collared shirts, pants, skirts and dress coats. Other accessories such as ties, belts and shoes of all sizes also will be accepted. Donations can be dropped off at the UHV Student Life & Services office located in Jaguar Hall, Suite 1135. “We appreciate UHV taking the lead on this initiative, and we are excited to offer this important opportunity to Victoria College students,” said Jackie Mikesh, VC’s interim dean of Student Services. The university already has begun accepting monetary donations for the pantry. Donations can be made online at www.uhvconnect.org/donations by choosing the Student Food Pantry option. Donations made by UHV faculty and staff will be matched by the university. In addition, people who come to the open house are encouraged to bring a jar of jelly or peanut butter for the pantry. “The jelly and peanut butter is symbolic of us sticking together and helping each other out, and also represents the J and the P in the market’s name,” said Sara Weinstein, a UHV Student Life & Services coordinator. All of these elements are important parts of UHV’s effort to invest in and give back to the community, Wilkinson said. To learn more about JP’s Market, contact Weinstein at 361-485-4496 or weinsteinse@uhv.edu.